It was a pleasure to become reacquainted with a minor character, Miles Prescott, from A Garden Folly, and get to know him better as a main character in this delightfully light and witty romance. Miles Prescott, Earl of Strickland, of Epping Hall in Northamptonshire, is reserved, conservative, and fastidious. His wife Amelia died two years ago, leaving him with two young daughters who he feels desperately need a mother. Having had a love-match with Amelia, Miles doesn’t believe he can fall in love again and wants a marriage of convenience the second time around. Winifred also believes it is time for her brother to remarry. When she and her family travel to Epping for their annual, Winifred asks two of her husband’s cousins to join them, intending the widowed Lady Charlotte Abingdon for Miles. Charlotte is a beautiful young widow, elegant and sophisticated—exactly what Miles wanted for his second wife as long as she gets along with his daughters. Charlotte’s half-sister, Miss Hannah Fairbanks, is nineteen years old and so backward that she has not yet come out. Quite intelligent, she is more interested in architecture than putting herself forward on the marriage mart. In fact, Hanna has no interest in marriage at all and repeatedly tells herself that she doesn’t care that people think she’s still a child. 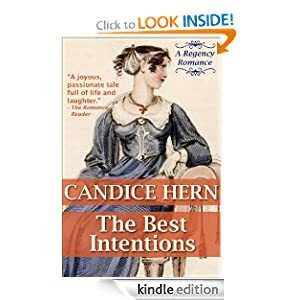 I’m enjoying Candice Hern’s books so much that I’m sure I’ll be adding many more to my list for the Regency Romance Reading Challenge (Austenprose.com) before 2013 is done! Although I’ve read it twice before, I decided to revisit this excellent story—full of sweet romance, intrigue, and even a mystery—for The Pride and Prejudice Bicentenary Challenge. I highly recommend this book! What if, from the story of Pride and Prejudice, weaved by Jane Austen, one thread was pulled? 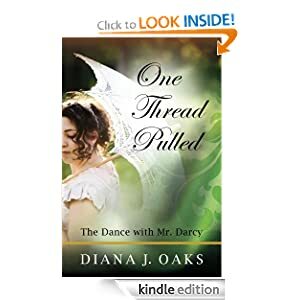 Diana J. Oaks imagines just that when she pulls the thread that has Elizabeth Bennet overhearing Mr. Darcy’s insult at the assembly ball. As a result, One Thread Pulled goes off in directions increasingly dissimilar to the original as the story unfolds. Since there was no knowledge of the insult, Mrs. Bennet declares that they should forgive Mr. Darcy’s pride, and Elizabeth agrees. Jane suffers a fall on her way to Netherfield rather than an illness, resulting in some rather amusing scenes which explain the changes in her character from the original.Without Elizabeth’s injured pride, her behavior toward Mr. Darcy is friendlier, causing both their feelings to develop sooner. Colonel Fitzwilliam and Georgiana Darcy appear earlier, as well, and the characters we love to hate are even more hate-worthy in this adaptation—a very satisfying deviation. I was sorry to see this book end, and I am looking forward to the second of the series to be published! 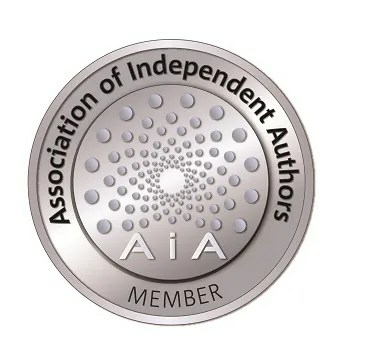 Diana’s first draft of the sequel is being posted to BeyondAusten.com, titled Constant as the Sun. lots of fun and informative blog posts, and some really great giveaways! Although the challenges Roxanne Ramsay and Greg Hayes face are complex, Mona Risk somehow manages to turn this story around into a light and sweet romance that easily grabbed my attention and had no trouble holding it. I’d recommend this story to anyone looking for a quick and easy dose of happily-ever-after. Although the name implies that it’s only for Valentine’s Day, it would be a nice read for any time of year. Roxanne Ramsay is a fiercely independent woman and an ace journalist who travels the world to get her stories. At Roxanne’s sister’s wedding, she’s paired up with the best man, the handsome Dr. Greg Hayes. Determined not to ruin such a special day, Roxanne tries to hide the devastating news she’s received the day before, but Greg can’t help but notice the sorrow and distress of the beautiful lady who has already worked her way into his heart. When she faints, Greg comes to her rescue, and as an OB/GYN, he realizes that she’s pregnant. Greg befriends Roxanne as she faces many difficult decisions, and the two fall in love. But can Greg ever accept another man’s child as his own? Thinking she is partially responsible for her child’s father’s death, will Roxanne give in to her guilt, giving up her way of life and Greg’s friendship in the process? You know it’s a really good story when you hit the end and you still want to read more. If one listened closely when I finished this book, they would have heard a very audible, “Awww! There’s no more? !” and noticed that I kept flipping to see if there was any mention of a sequel. 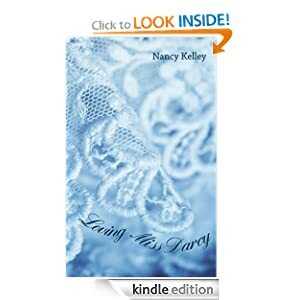 In Loving Miss Darcy, Elizabeth and Darcy are very happily married. Richard Fitzwilliam is now out of the army at half-pay and has been taking care of his father’s estates in lieu of his brother, who does not really care for the land. His brother decides to take an interest after all—mainly, it seems, in order to spite Richard. Wanting nothing to do with his brother, Richard leaves Matlock and heads over to Pemberley. Upon arrival, he finds that, after putting off Georgiana’s season in order for Elizabeth to be presented, it is now time for Georgiana’s coming out. The gentlemen are rather reluctant about it—as is Georgiana. As Mary Bennet has no interest in having a Season, and Kitty is all for it, the Darcys ask Kitty to accompany them to London to be presented at court as well, hoping some of her enthusiasm will wear off on Georgiana. As the Season begins, Richard can’t understand the extreme discomfort that comes over him whenever he thinks of Georgiana having suitors, and heaven forbid anyone should mention that the purpose for a Season is so that she shall marry! Although at times I wanted to shake some sense into poor Richard, experiencing his confusion was all part of the fun—an Austen-inspired story would be nothing without misunderstandings! I think this is one of my favorite Colonel Fitzwilliam characterizations, and I really loved Georgiana, too. I enjoyed all the new characters that Nancy Kelley came up with, as well. A big “thumbs up” from me for Loving Miss Darcy!